Today I'm linking up with Deena for my month in numbers. If you want to see my previous months, click here. Let's get to it. 2 - Double dates. Crazy that they both happened in the same week within three days of each other. The 1st one was totally random, but super fun seeing a friend sing with a live band and the second was to see a jazz concert. 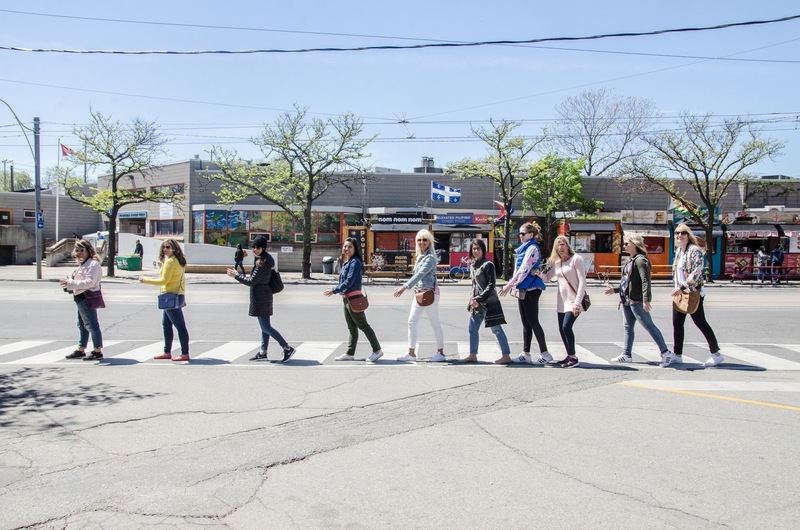 3.5 - The number of days I was in Toronto with some of The Blended Blog ladies! One of my favorite pictures. What I love about traveling with bloggers is that you tell them a crazy idea about doing a Beattles picture, and they get in line do what you say and you're out in less than a minute. 1 - Mom's Night Out, were we tried an Escape room didn't escape, but it was super fun trying. 2 - Physical Therapy sessions, down from 4-5, which is great, I am about 95% healed, which is great in my book. 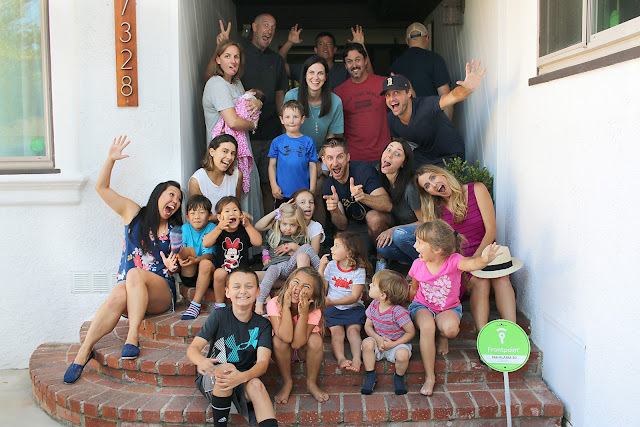 1 - Cousin party, I love that my kids are getting to grow up with my cousin's kids and they all LOVE hanging out and they all get along. 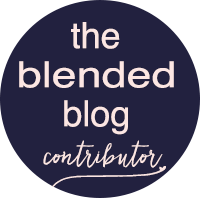 14 - The number of The Blended Blog Ladies. So excited to welcome Shelly to the group. 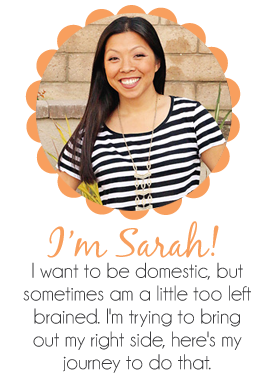 If you haven't check out her blog you NEED to right now, she is one amazing lady. 2 - New post being replaced at our house. At least our house won't fall down in an Earthquake, that's always a bonus. Just kidding, it would be that bad, I'm being dramatic. 1 - Yellow belt received. 60 - About the number of hours I spent in the car or a bus driving this month, at least the bus trip I was with good friends. The rest, not so much. Boo! And on that depressing note, I think I'm done for the month, hehe. Hope you all had a good weekend, and go give Shelly some love and tell her I said hi!